While at Baguio Center Mall in our vacation at Baguio City, Philippines last January, we were pleasantly surprised to find Mang Inasal occupying a rather substantial amount of space of the Food Centre of Abanao Square. 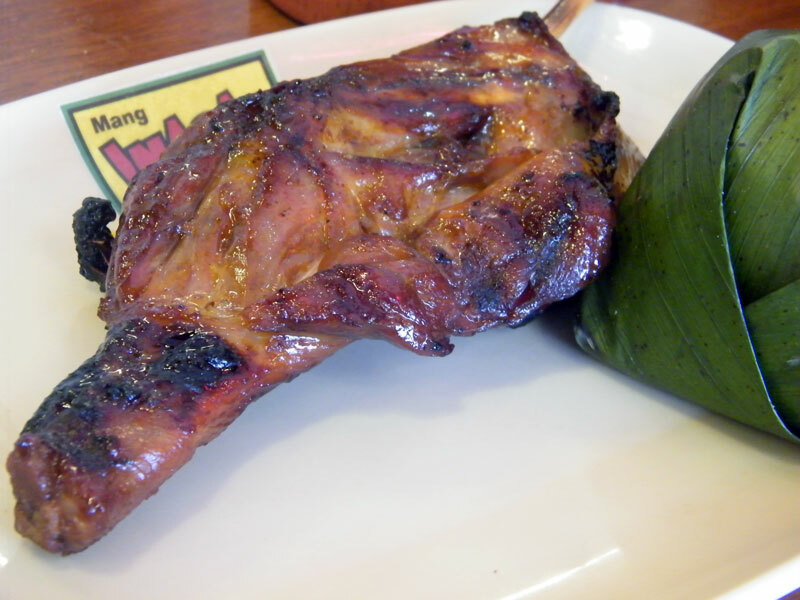 "Inasal" is essentially a method of marinating and barbecuing chicken and originates from the Vizayas region of the country. The marinade and basting sauce gives the chicken a distinct and delectable taste. I swear, I could not stop eating until all that's left is bones on my plate. There are now quite a number of shops offering this in their menu, with people picking their favourites. As for me, I am not as choosy for my chicken inasal! We couldn't help but grin as a flat screen display would periodically repeat this Mang Inasal ad showcasing unlimited rice for your order. Only in the Philippines where you get called "Ma'am sir"! Jo-Lo had fun verbally repeating the commercial too; he must have found it odd. And of course the dish is not complete without the dipping sauce. 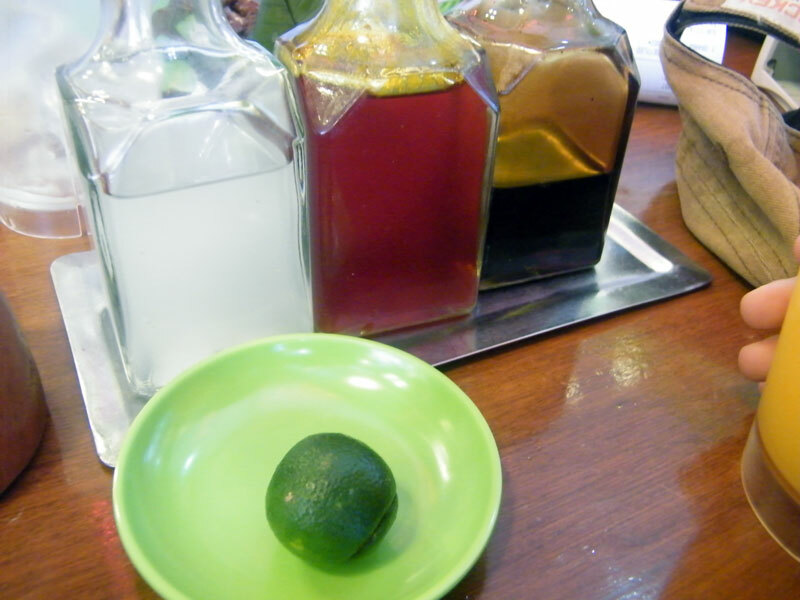 To make it, all you need to do is mix equal parts soy sauce and white vinegar, followed by a squeeze of calamansi juice. For added kick, squish a siling labuyo (a small pepper) into the dip. 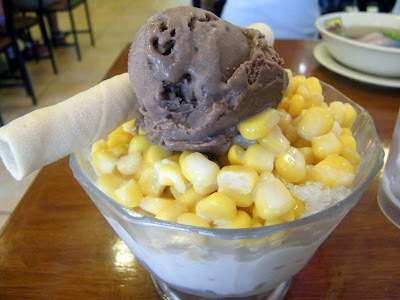 And for desert, we had mais con hielo. Chicken Inasal and I go a long way. 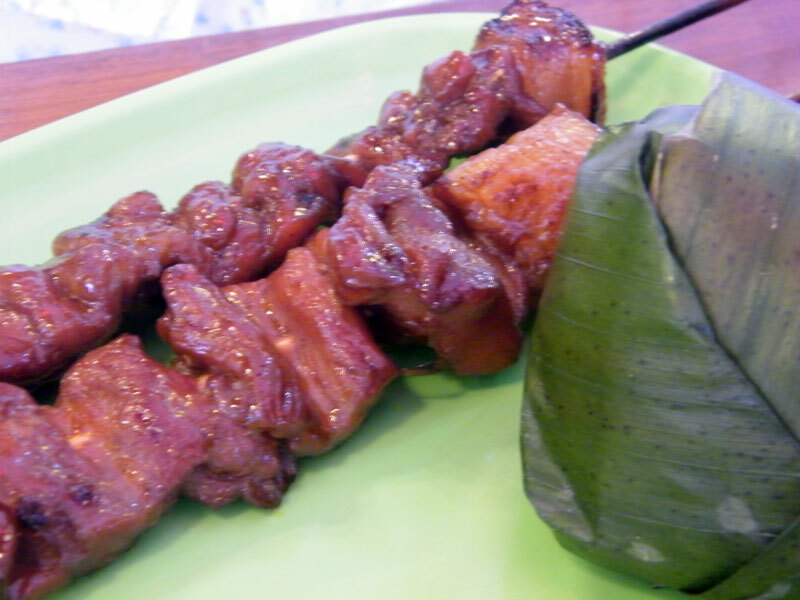 We were regulars at Chicken Bacolod when I was working in Makati. We had chicken inasal for dinner all the nights my friends and I were on vacation in Palawan in the mid-90s. Having chicken inasal again for what seems like a long time was really great. We thoroughly enjoyed our meal, to say the least. Have a browse at their website. If I had millions, I would surely franchise (and this is not a paid advertisement! ).